A lifting and firming cream for dry to very dry skin with 98% naturally derived ingredients. 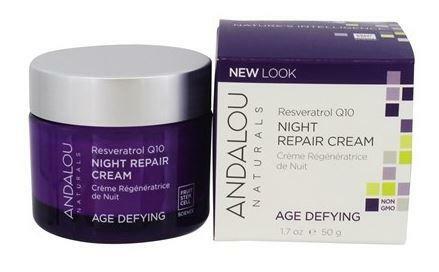 Andalou Hyaluronic DMAE Lift & Firm Cream has Fruit stem cell complex, resveratrol CoQ10, and hyaluronic acid. These potent ingredients join forces to boost your dermal vitality, supporting essential building blocks, collagen and elastin, to give you a more lifted, firmer, youthful appearance and rejuvenated complexion. 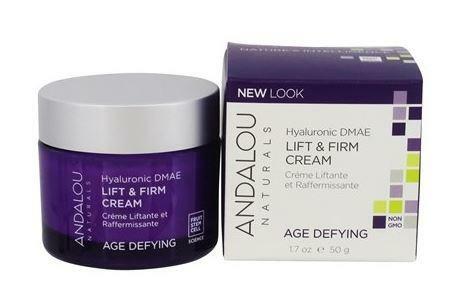 How to use Andalou Hyaluronic DMAE Lift & Firm Cream; Daily. Apply to clean face and neck.